Happiness Is a Mood Not a Destination: Wedding Wednesday Link up- Cake! 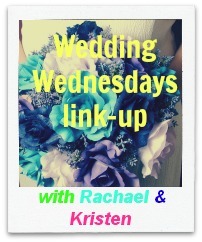 We are working all summer long to bring you some exciting link ups on one of your favorite topics-weddings! Kristen and I both have wonderful men in our lives (Kristen is engaged!) and enjoy talking about weddings together. We thought we would join you in on the fun! There is a linkup below! please don't forget to tag us and also put this photo on your sidebar/in your post! 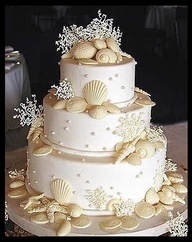 To be honest, I never really understood all of the ho-hum about wedding cakes. I mean, it's just a cake, and you eat it, and then it's all over....right? will ever have so much control over every single detail in a party that celebrates your love. Why not have fun with it and run away with your theme and the celebration that only lasts a day! 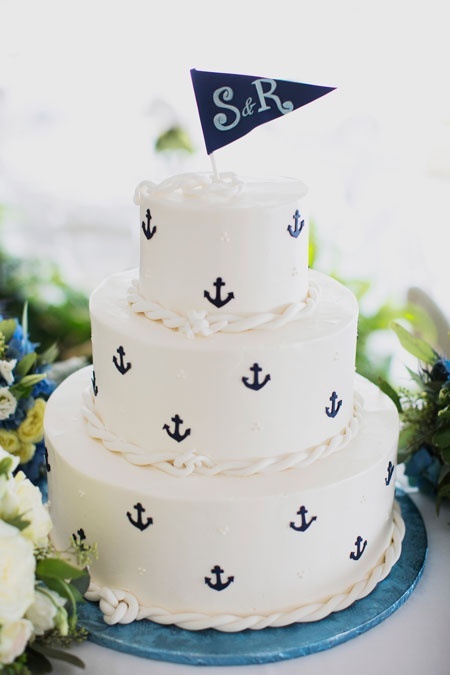 I have always known that I wanted a nautical themed wedding. This is like, my ultimate cake. However, no one would want to sit there and pick off all the shells. 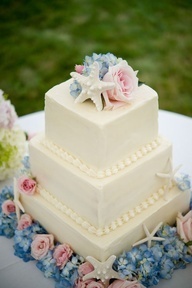 I love the pastels in this cake. you certainly could use the template design for something simple! I think this is truly adorable, and kind of simple! 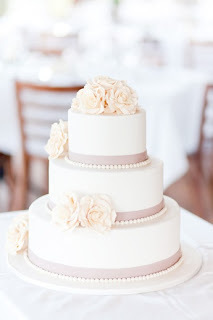 However, putting flowers on the cake can start to get expensive. I have always been that kind of person who can't justify spending millions on something I will eat. This is simple and adorable! They are my favorite "animal" besides a seal. 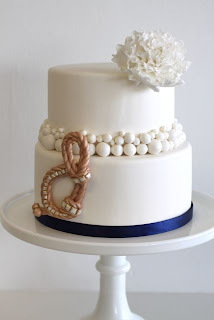 I love this...especially with the symbolism that the knot has! Although that can be great, I personally dont want that. 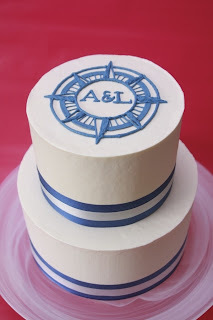 My fiance and I havent talked about the cake yet but I'm pretty sure I know what I want. Once again, I'm simple. I want it to make a statement but have clean lines and just be something that people can say "wow" too. It wont be too big either since our guest list is under 100 people. 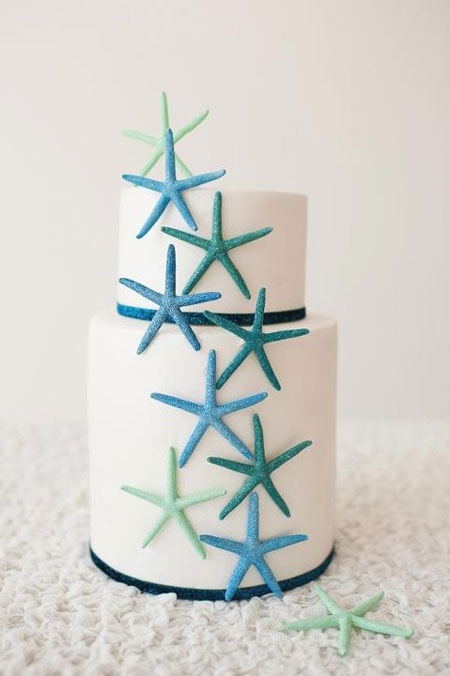 Cakes seem to get pricey the higher the guests.